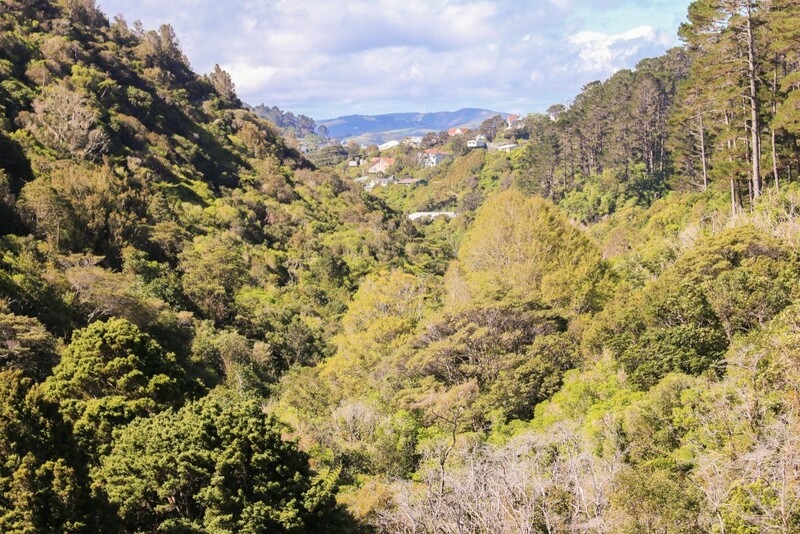 Zealandia wildlife sanctuary is a unique conservation and restoration project in the Karori suburb of Wellington, New Zealand. 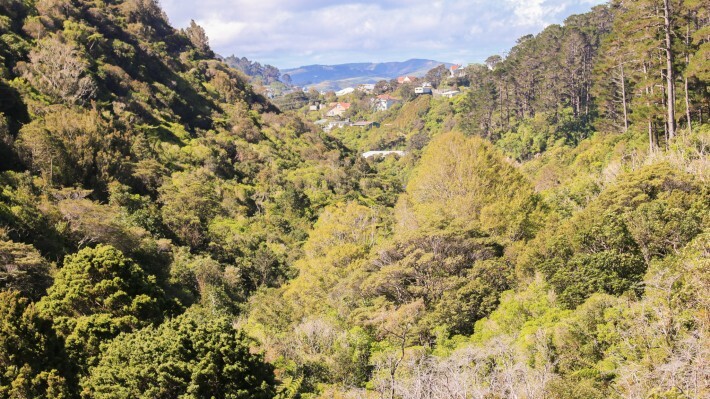 Nestled in a valley only 10 minutes away from the town centre, Zealandia is the world’s first fenced urban wildlife sanctuary. The groundbreaking fence is the heart of Zealandia and protects the created habitat from predators and pests like cats or rats, just to name a few. 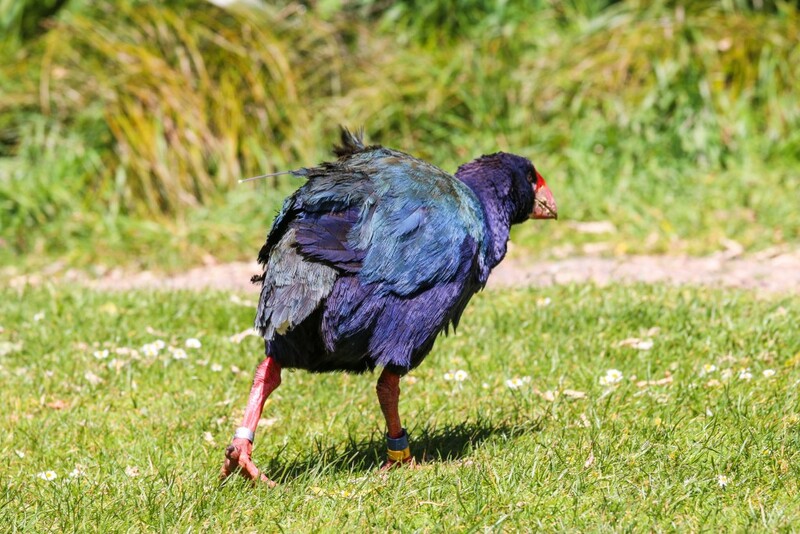 Zealandia is a safe haven for many of New Zealand’s native and endemic species, including rare and endangered ones such as the Takahē or the Kiwi. The fence was so successful that it inspired other similar projects throughout New Zealand. It’s such a great concept that once we found out about it, we immediately decided to go there and see it for ourselves. 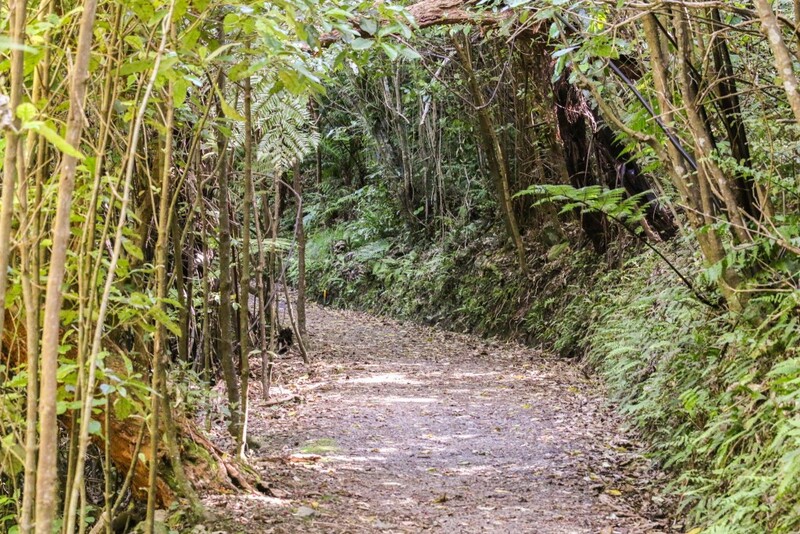 Zealandia wildlife sanctuary covers an area of 225 ha and has over 30 km of walking and hiking tracks. Pretty impressive, if you remember the proximity to downtown Wellington. Exploring Zealandia can take anything from half a day to a day, or even more! If you’re in a hurry, you can probably do a quick visit to Zealandia in a couple of hours or so, but that’s not really a great idea as you’ll definitely be missing out. You’ll be given a map where 3 types of tracks are displayed. The types are based on the difficulty of the terrain. There’s a recommended route on the map that can be easily followed. It’s an easy and gentle walk that covers plenty of interesting places and allows to spot lots of wildlife. For those with time, we highly recommend going away from the main track and seeing a bit more. We spent slightly over half a day exploring Zealandia, leaving at closing time. Truth be told, we could have easily stayed the full day had we known how interesting it was going to be. The first part of our visit was spent mostly on the recommended track. This, all the way to the upper dam, where the views down the valley are magnificent, especially on a lovely sunny spring day. 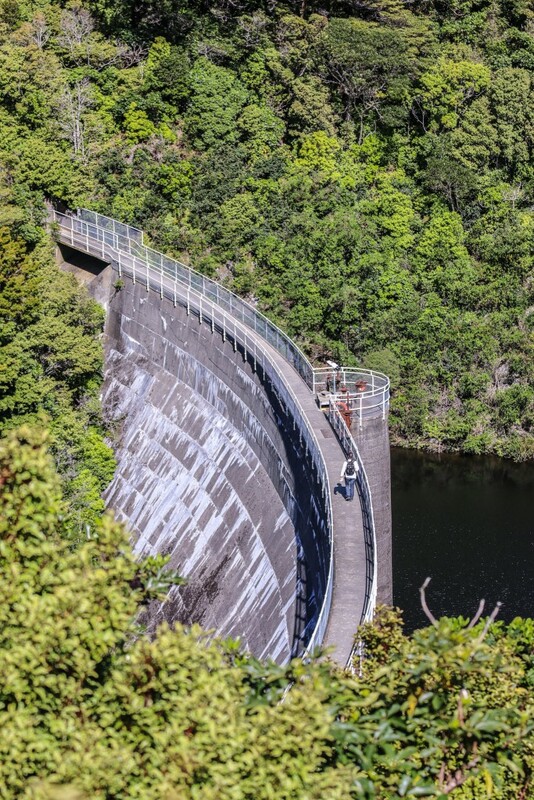 There’s a viewpoint very close to the dam, a bit further uphill, that offers a great vantage point over the dam and reservoir. Pay attention to where the feeding stations are. The chances of spotting some species are far greater next to them. On the way back down we tried a mix of alternative tracks, staying away from the recommended route and deeper into the forest. The main advantage is that there was no else around. We didn’t explore the upper part due to the lack of time. If we ever set foot in New Zealand and Wellington again, we’re definitely going back for more! 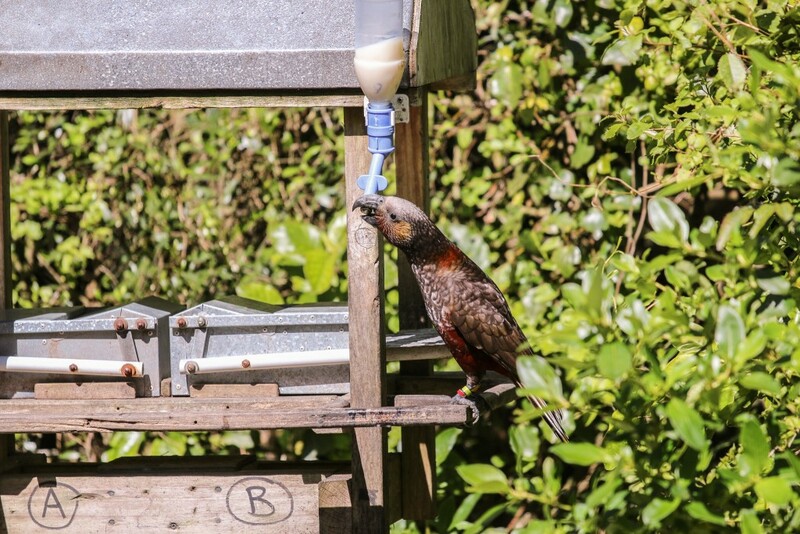 Many species can be found at Zealandia wildlife sanctuary. 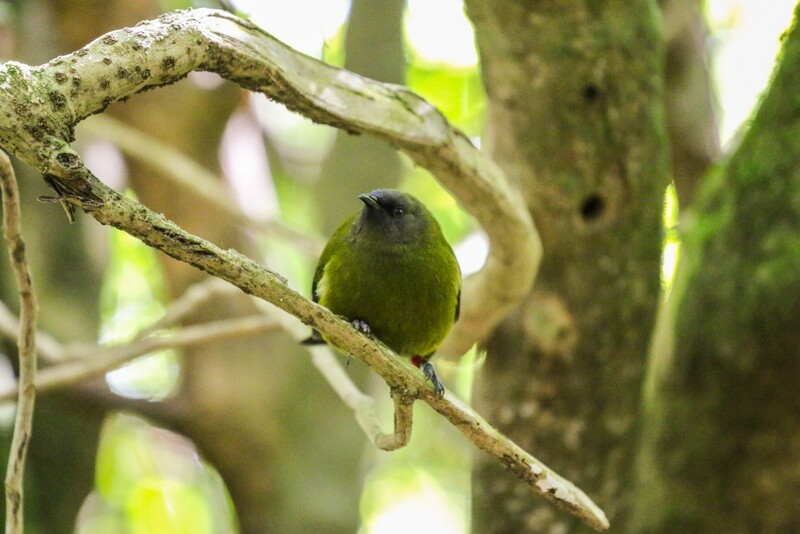 Between birds and plants alone, there are over 40 species, which have been gradually introduced at Zealandia over the past few years as part of the conservation and restoration program. 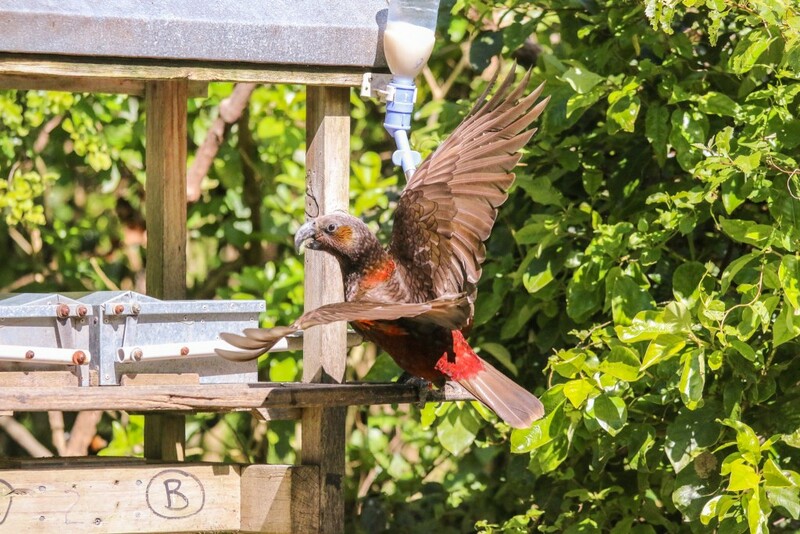 Some of the species introduced at Zealandia are also part of a nationwide effort to restore their presence in places where they have not been seen for a long time. This includes species that were only found in small islands outside mainland New Zealand. Two of our favorite birds were the Takahē and Kākā. The Takahē has the most amazing story. It was thought to be extinct until it was found again in a remote area of the Fiordland National Park. It’s a really amazing flightless bird and, fortunately, its numbers are on the rise these days! There’s an area where two Takahē can be seen. The Kākā is a parrot with beautiful plumage. It was one of the most active birds we saw and was clearly enjoying being watched flying around the feeding station. The Kiwi, a national icon, is only active at night. 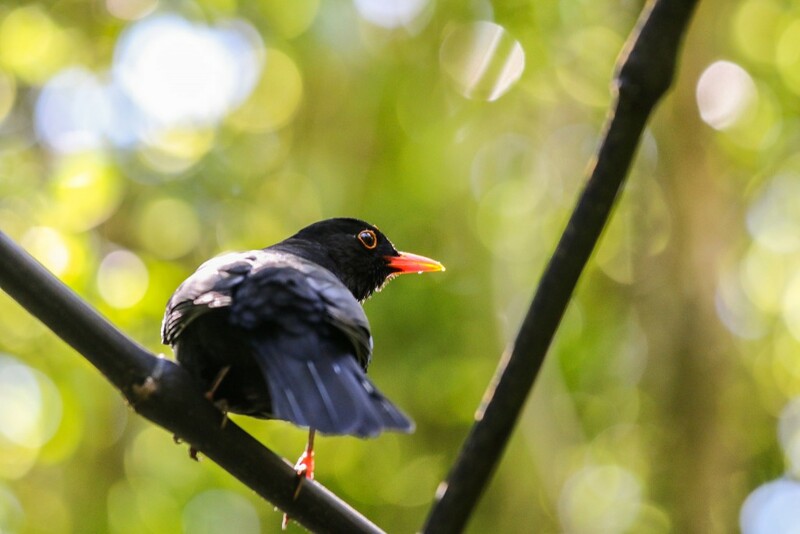 Zealandia offers night visits in order to spot this intriguing bird. In case you don’t know, Kiwis are flightless birds! 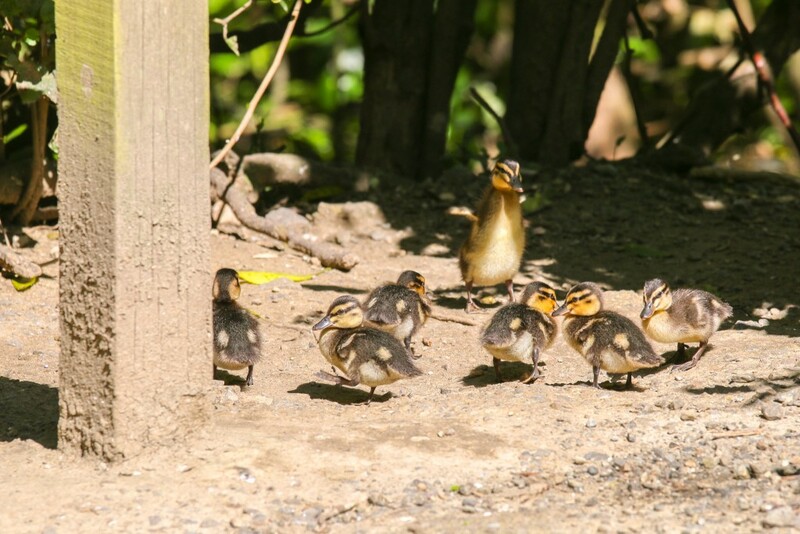 For some cuteness overload, just look at this family of Mallard ducks. 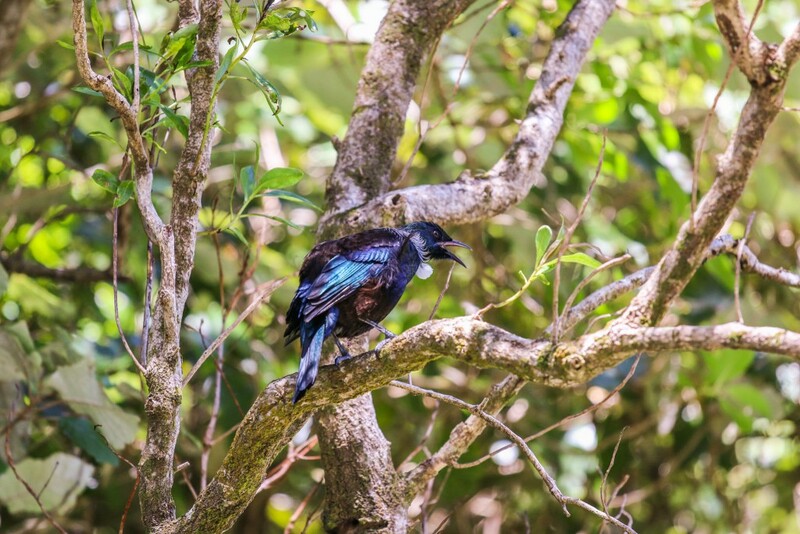 The best thing about going to a place like Zealandia is to hear the birds “sing”. Some birds have the most incredible bird call. 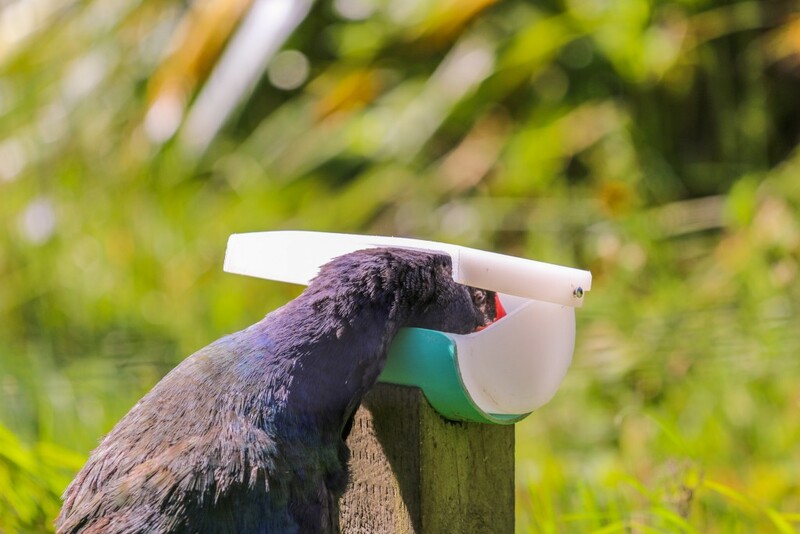 The Tūī has a big playlist to keep you tuned listening to him. Even if you can’t see one, they’ll be around. Just silently enjoy nature. It’s impossible to see every single bird, but there’s a good chance you’ll see many different and amazing ones like we did. 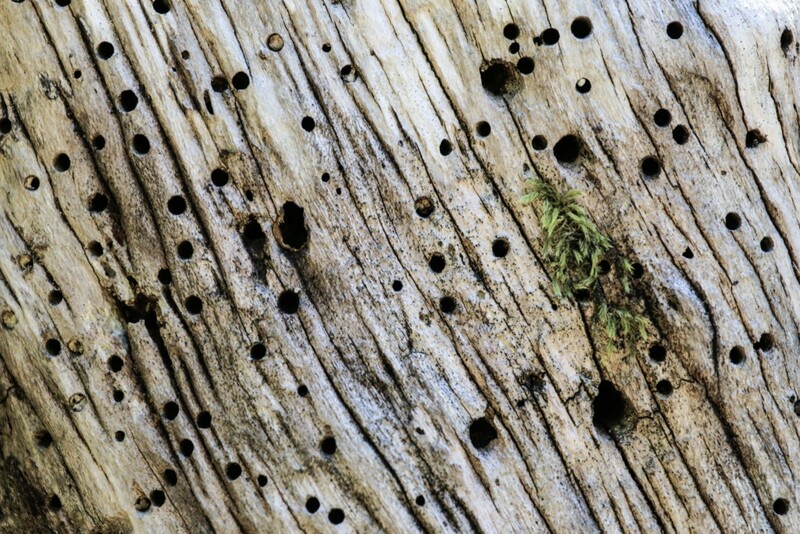 It is safe to say that all the wildlife that we saw at Zealandia was completely new to us. This made it even more interesting. Zealandia is not all about birds. One of the most famous residents is the Tuatara, a reptile with very characteristic spines on its back. This a very special animal that can live over 100 years and goes back to the dinosaur age! They were extinct from mainland New Zealand since the 1700’s. 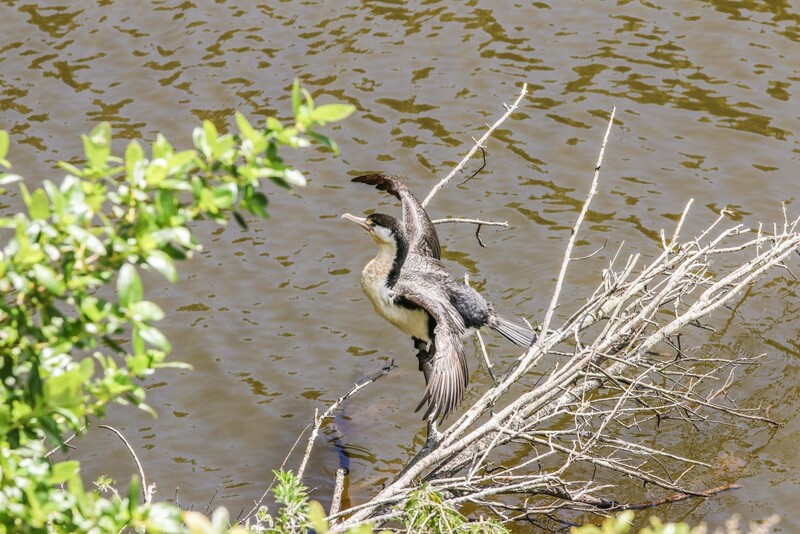 The visit to Zealandia was definitely one of the highlights of our stay in Wellington! Zealandia opens daily from 9 am to 5 pm and it costs 17.50$ for an adult (as of July 2015). A guided night visit is possible for 75$. To get there, we took the car and parked it right at the entrance. There is a free shuttle and also public buses. For more information, visit the official website at visitzealandia.com. 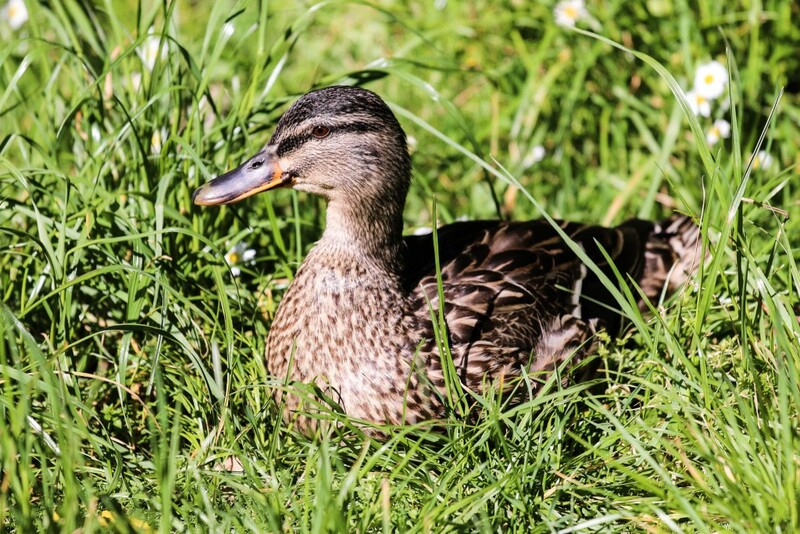 Have you been to Zealandia wildlife sanctuary? Or other similar nature reserves? Tell us all about it! Wow – I never knew this place existed. Looks like a wonderful place to explore and see all the different NZ birds. Did you ever get to Tiritiri Matagani? 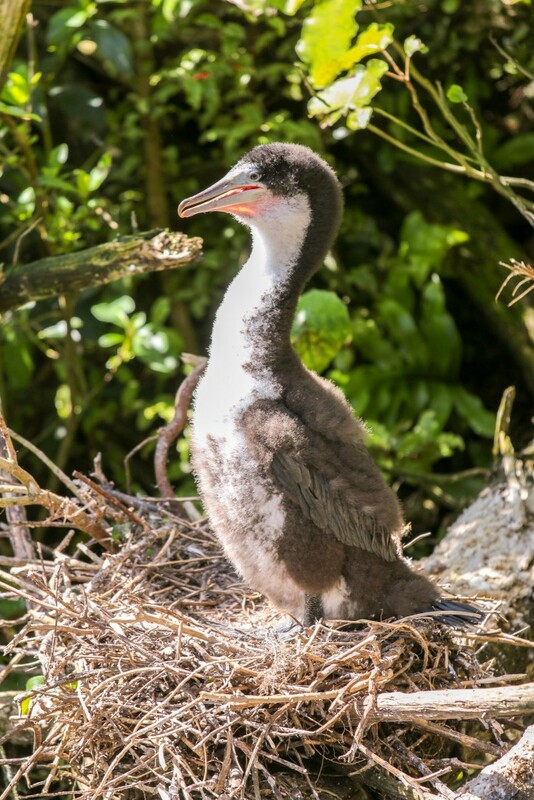 It’s a bird sanctuary island near Auckland that you can take the ferry to. Another great place to wander around and do some bird watching. It’s a lovely place to see plenty of NZ birds. It was really calm as well, which is ideal for bird watching. We didn’t go Tiritiri Matangi. Our visit to Auckland was a very short one, just the starting point of our month-long trip to Zealand. One more thing to visit if we make there again! New Zealand has so many of these amazing places for wildlife conservation and restoration. Hope they continue to do it for a long time. Amazing photo, guys. Birds I never knew existed. And a tuatara! From the age of the dinosaurs! What a life you are living! Keep up the great work (but who can really call this work?)! Glad you enjoyed our article. The birds in New Zealand are amazing, aren’t they? 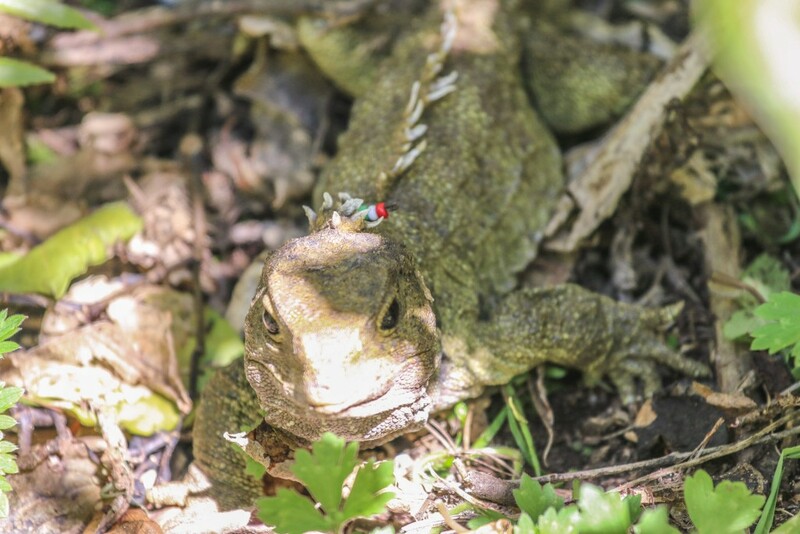 The Tuatara is also a very special species. Thank you so much for your kind words. We try our best! That looks like a fun place to spend a day, especially for a photographer or a bird watcher. There are so many little creatures in there to see. Yes, indeed! With the advantage of being very close to Wellington. What a fantastic idea – it sounds like something which should be taken up elsewhere, doesn’t it? And what a great place to visit. I would love to take one of those guided night-tours. So much beauty to see. Agreed. It’s a great concept. It is slowly being used in other places in New Zealand, but slowly. Hopefully it will help other conservation places around the world. The night tour is on our to-do list if we make it to Wellington again. Now you’ve given me yet another reason why I need to get myself to New Zealand. What a wonderful spot to spend the day. And your pictures of the wildlife are wonderful! Thank you, Jen. You definitely should visit New Zealand! I love wild life sanctuary and national parks. thanks for introducinng one more! I visited a wildlife sanctuary in Queenstown and loved discovering so many species we don’t have in North America. Would love to see this one. Lovely pictures. You wrote that you get the map, but how do you actually recognise what bird is what? You have a booklet or is there some information on what you might see? The map shows the feeding areas of some species and there are a few pictures as well, plus staff that can point out which bird is which. For some of these birds, we had to double-check to get the correct name. Hopefully we got them right! Looks like a great animal sanctuary to visit. I love all the birds. 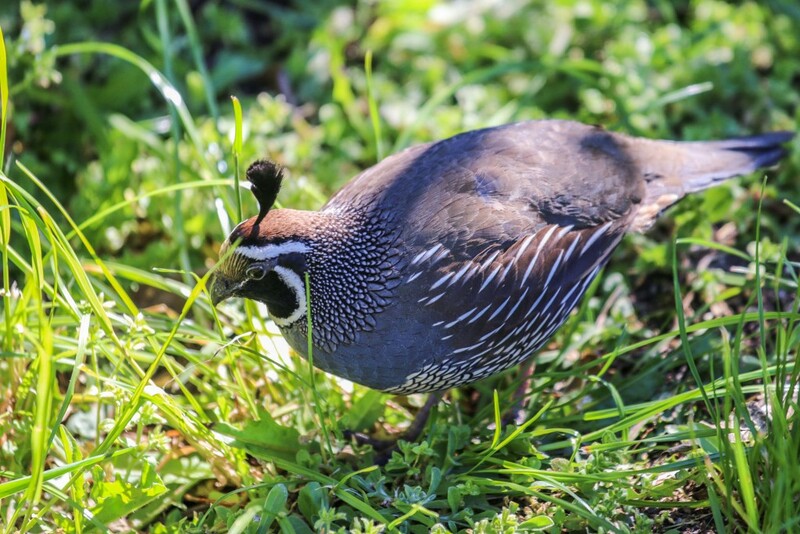 I didn’t realize there were California Quail there! Going on my never ending list of things to do in NZ. I will need several months there I think! Apparently so! We spent almost a month there and it wasn’t enough! Amazing country. I would love to visit Zealandia! I haven’t been to that side of the world yet so I’m still building up my list of things to do – I’ll be sure to add this! Thank you! You’ll find plenty of reasons to visit New Zealand! Thanks for this post! We’ve just arrived in Australia so are really looking forward to the chance to travel to NZ. We’re huge fans of traveling for wildlife, and recently I’ve become a pretty avid birder!! Though we didn’t think there would be much opportunity for wildlife viewing in NZ since it’s mainly about the landscapes. Will have to schedule in a visit here – can’t go home without having seen a kiwi!! It’s a great place for wildlife and birdwatching. There are plenty of opportunities for it in New Zealand as well amazing landscapes.